Chelsea beat a resilient Southampton at Stamford bridge on Sunday and move into second place, 3 points behind leaders Arsenal. However Arsenal are a club that can believe that they should be thinking about the Premier League title already. Chelsea face two relatively easy opponents in their next two games, facing Sunderland and Stoke respectively. wins at the Stadium of Light and the Britannia Stadium will keep them on top of Arsenal and depending on the Gunner’s next results could maybe even go top. 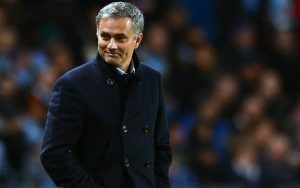 However, the there are only 5 points between Chelsea in second and Man United in seventh. This closeness of the league is slowly cementing the fact that this season is going to be he closest it has ever been and any point throughout the rest of the season will be crucial as well as the goal difference between the teams. Manchester City are leading the way clearly leading the way with plus 25 goal difference. This could really play dividends for Manchester City as it did when they won the Premier League title. Despite this, Chelsea still believe that they have got the talent and resilience to get to be at the top at the end of the season. Whatever happens, we are in for a treat this season and could end with something to rival there incredible last day when City when the title and snatched it in the last seconds of the last match of the season. Next articleDanny Ings – Eddie Howe’s Greatest Burnley Success?